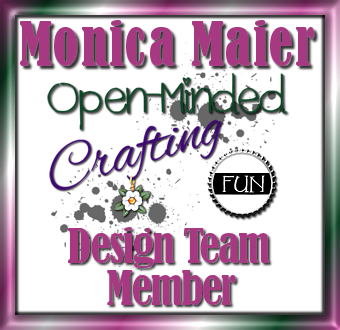 I haven't played along with a blog other than for the design team in a long time!!! 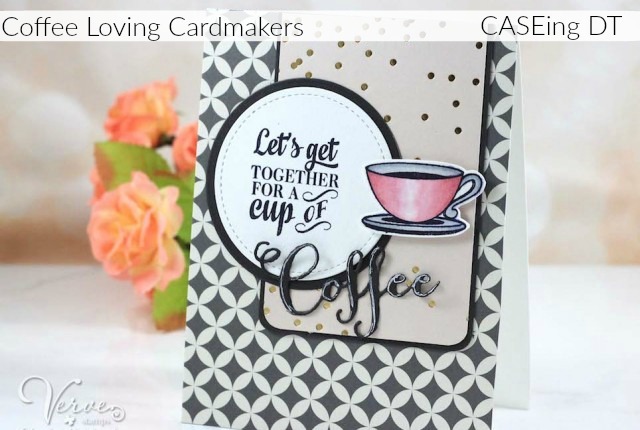 I saw the post about the link up party over at the Coffee loving cardmakers blog. I really wanted to play along by CASE-ing the DT. 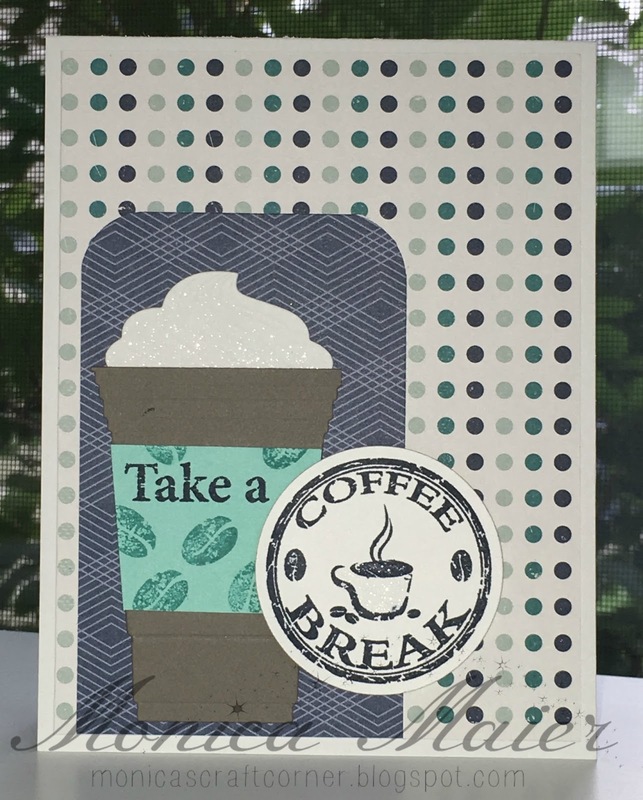 Here is my card I made flipping the sketch ..
On a side note I had to grab a frapp after making this card on my way to a crop night at Michaels! Yum!!! 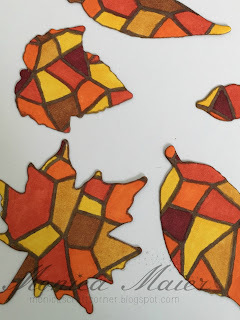 I was aiming for a stained glass look with my card for A2Z scrapbooking. Visit the blog post here to see how the card turned out! Hello everybody, hope every one is surviving the back to school excitement! I'm ready for a mom-cation, now that the boys are back to school!!! I would love to go to a Greek island, but since that's not happening anytime soon I'll just have to pretend. 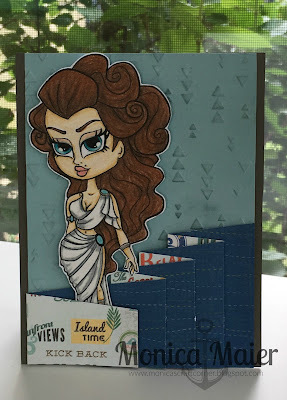 I got Persephone from Simply B Stamps our wonderful sponsor over at Die Cut Diva's this month and I just love her. 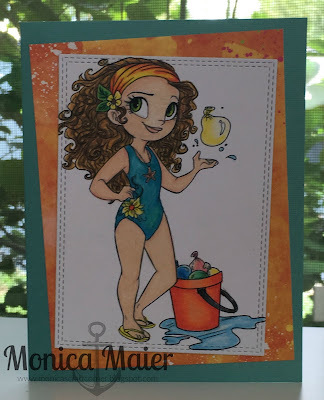 I colored her with colored pencils and paired with some beach themed paper I have in my stash. I used an embossing folder on the backdrop and added some distress ink to highlight the texture. Don't forget to join us for our summer vacation challenge by visiting here. Thanks for stopping by as always and have a great day!!! Just a quick post to show you a peek of my card over at the a2z blog today. Please join us here and share a creation using our color it in challenge. It's time for a new challenge over at OMCF and out theme this month is Back to School/ Reading. It was a challenge for me to come up with a way to coordinate the adorable YamPuff image with the theme. I decided to use a copy of a dictionary page with the work read on it, which I made sure was visible under my colored image. I can't wait to see what you have to share with us for the back to school/ reading challenge this month! 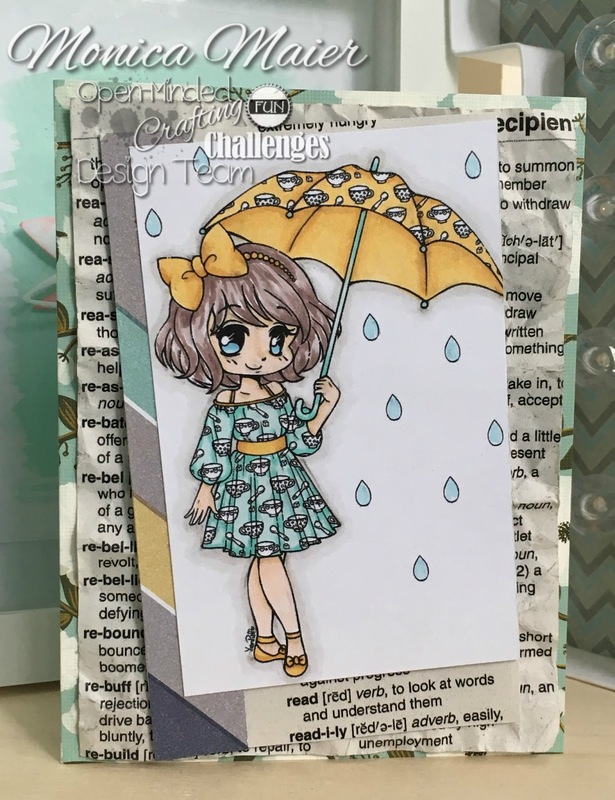 Today's card is a summery card for our challenge over at the Die Cut Diva's. 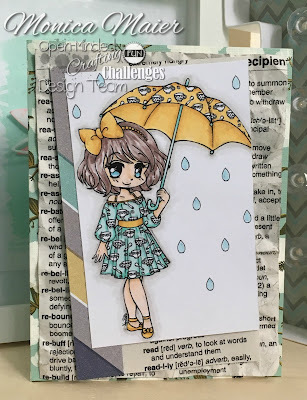 Our sponsor this month is Simply B, she has so many cute ones be sure to check them out! I was sent this fun image to use for our summer vacation theme. I love this image of a young frankie make a skull shaped sand castle! 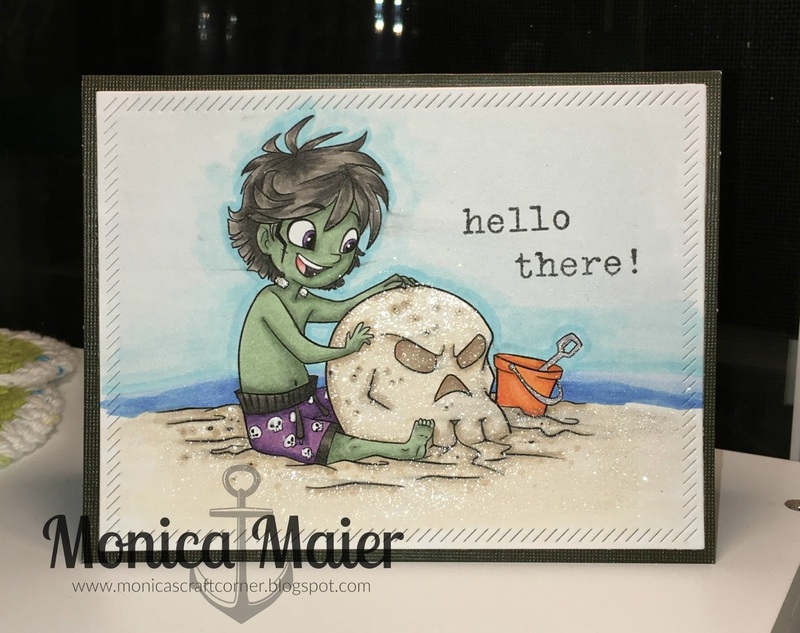 After I printed out Jude I colored him with copics and added some shimmer to the sand, before die cutting. I adhered the colored panel and adhered it to the top of my card. Thanks so much as always for stopping by. Have a wonderful day!!! Wow I can't believe it's August already!!! School starts for my boys in just over 2 weeks and we started our new challenge over at a2z scrapbooking blog. 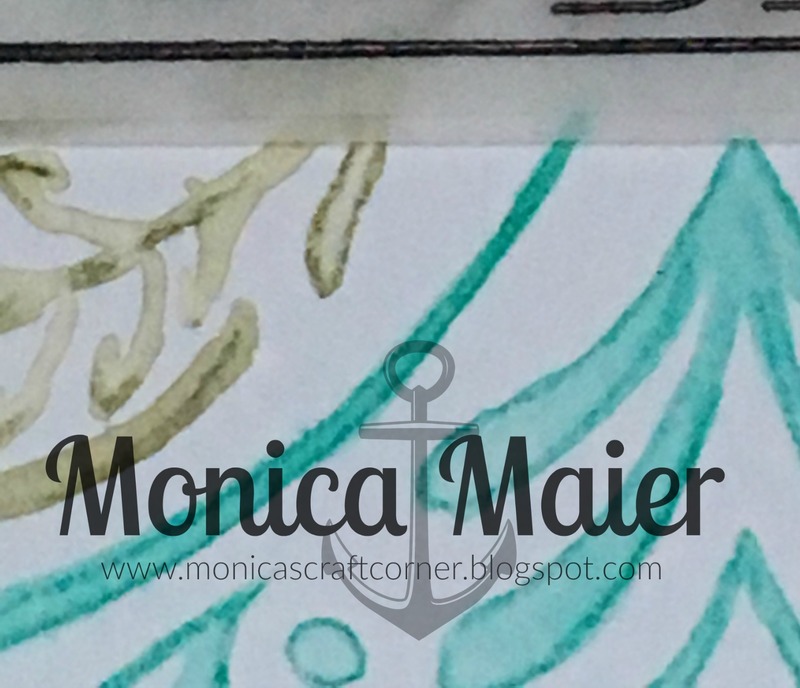 The theme for August is... Color It In and that is just what I did. Be sure to come by the blog and play along for your chance to win! Using various copics to color in the butterflies in a rainbow order. Then I took some gray copics and outlined the images for a shadow effect. I also traced my sentiment with a white gel pen to help it pop against the stamped image, which I've seen Kelly Latevola do. 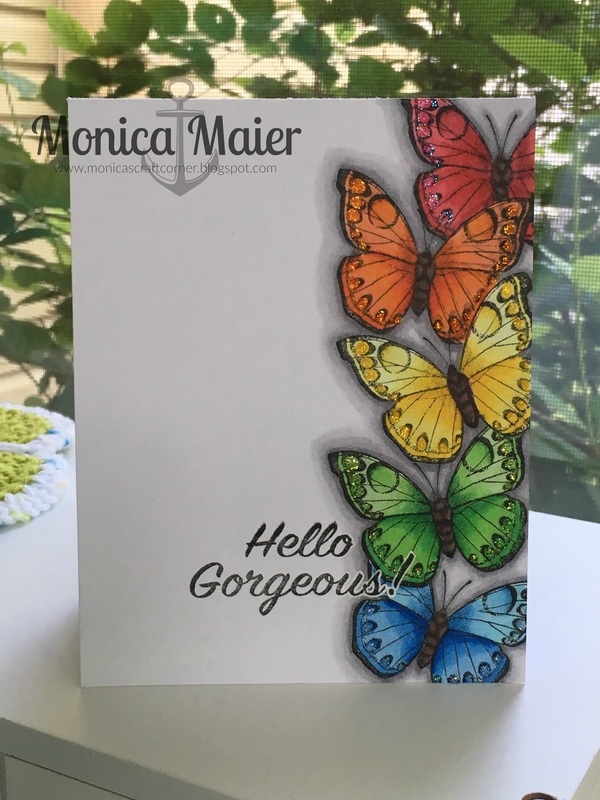 To finish my card I added some stickles to my colorful butterflies.